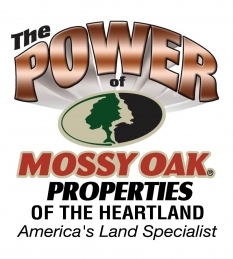 Let MOP of the Heartland —through the power of the MOP brand — organize, market, and sell your property at one of our exclusive branded auctions. We have a saying in our Auction Division “If you brand it they will come.” Nothing propels potential buyers to become more interested in an auction property like the MOP brand can, period. Why would anyone trust such a big deal with an unbranded auctioneer? When was the last time you bought something from an unbranded business or an unknown brand, whether it was food, clothes or we all know the words… Wal-Mart. Recreational real estate auction buyers prefer to buy at branded auctions, especially a MOPH branded auction. It’s about a comfort level when a buyer is committing to buying property at an auction where what you see is basically what you get, no contingencies and no time to think about it. The MOP brand will provide the comfort level required to attract more buyers than you can with any other branded or unbranded auction company. In the auction world the name of the game is getting the most interested and qualified buyers to your property the day of the auction and the more you attract the more you will get for your property. It is that simple. MOPH will manage the entire process. A very comprehensive targeted marketing campaign will be launched four weeks prior to the date of the auction. We will be available at all times to show the property to perspective bidders prior to the day of the auction. We like to say it is an “accelerated marketing campaign on steroids” or HDMC, “high definition marketing campaign” directed at qualified interested buyers around the country. It will have a place on our website that lets the world know your property is going to be auctioned. It has been proven in recent years that KS, IA, MO and OK are destination states for recreational property and now is a good time to sell your property at one of our auctions for this reason. Our auction staff is ready and more than capable to handle the sell of your property at one of our MOPH branded auctions. For brokers interested in utilizing our MOP branded auction services we will gladly work with most brokers to sell their client’s property at one of our exclusive MOPH branded auctions. Please call us today!